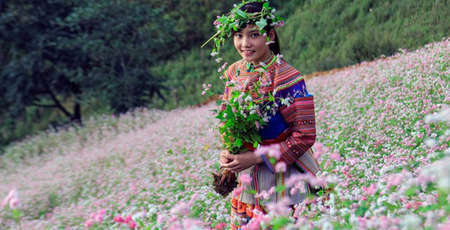 Khau Vai love market is well-known among foreign tourists for its “one of a kind feature” stirring up their desire to explore their self-love stories. 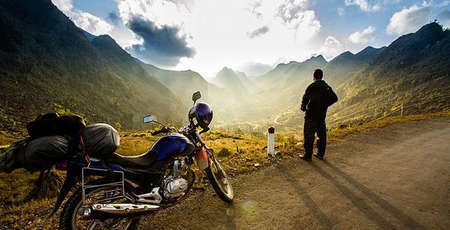 In this article, we will take you to the Northern region of Vietnam to be immersed into the unique atmosphere. 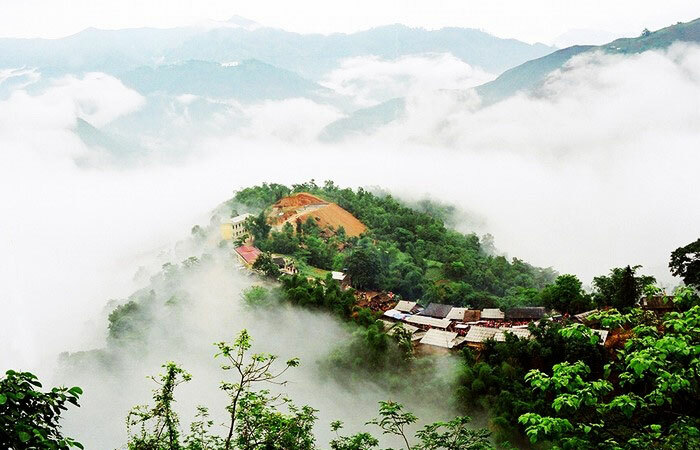 According to local dialect, Khau Vai means “Song mây” or Twine cloud in english- the combination of the names of two kinds of trees and it implies the affection and commitment of boys and girls like those trees on the mountains around the region. The name is also originated from a local legend in which a girl named Ut and a boy named Ba were deeply in love but eventually parted ways due to difficulties of love. They came to each other on the last day of their lives. Sitting on the stone where their promise had been carved years ago, they held each other tight to eternity. They rested in peace on the 27th of the third month of the lunar calendar - the day the had made up their minds to break up previous years. 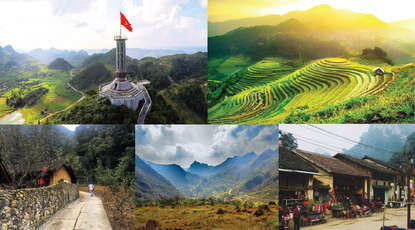 In the aim of paying tribute to the couple, villagers built two temples called "Ba Temple" and "Ong temple" right at the place. 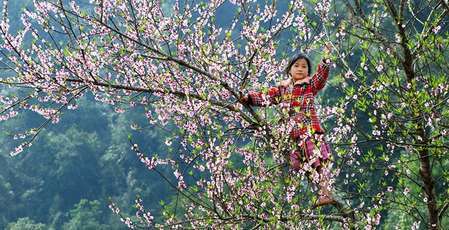 Since then, Khau Vai love market in Ha Giang , also known as “Phong Lieu market”, have taken place annually on 27th March on the lunar calendar. Previously, not many people came to the market, only those who were in love but could not get together with their lovers because of the boundaries of feudalism and backward customs. Although they might settle down to family life, or have grandchildren and be apart for 3 years, 5 years, 10 years or several decades, they still flocked to the market to see and tell each other about happiness, sadness or ups and downs in their lives. People get there from the previous day then get to rest in relatives’ houses or find their partners to enjoy heart to heart talks all night and the next whole day. They offer the other half wine, rice balls, bamboo-tube rice, cake or other types of food and drinks brought from their hometown. They give each other pure love. If not, they will be considered offended and disrespected by their partners or ended up with lifetime breakups. 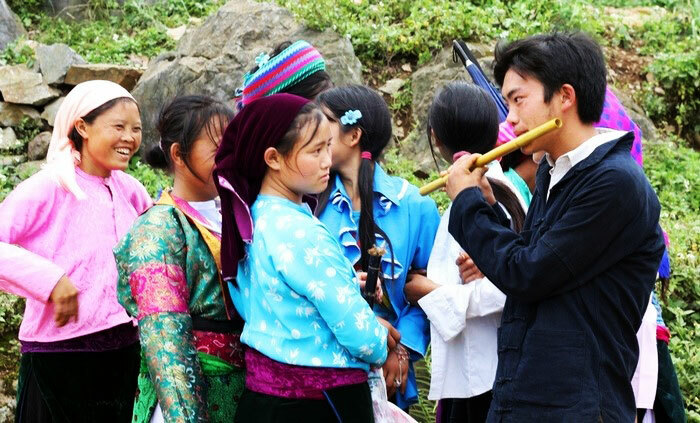 When darkness falls, Khau Vai love market immerses in poetic atmosphere with the sound of people singing Phun, Luon to call lovers or the sound of Mong’s pan-pipes. Boys get rather drunk chatting while waiting for partners and girls get shy but charming in colorful flower dresses. 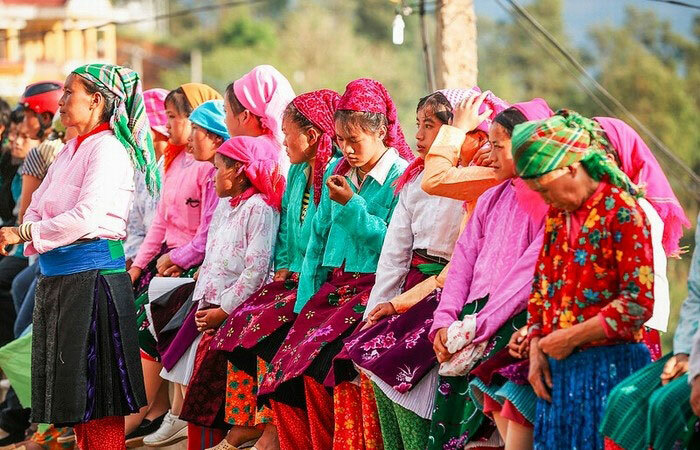 Among the crowd of people in love are also the presence of the rare old faces coming to the market to meet and share innermost feelings with partners until the sun rise over the mountains. Even spouse come there together then separate to find their own partners. They do not get jealous, still even show respect to each other and consider it as a way of sharing their spiritual life. Those moments of “love affair” are only accepted until the end of 27th March on the lunar calendar and they have to “lock their hearts” afterwards. However, some people drop by this market to purely see friends and party after seasons of rice. 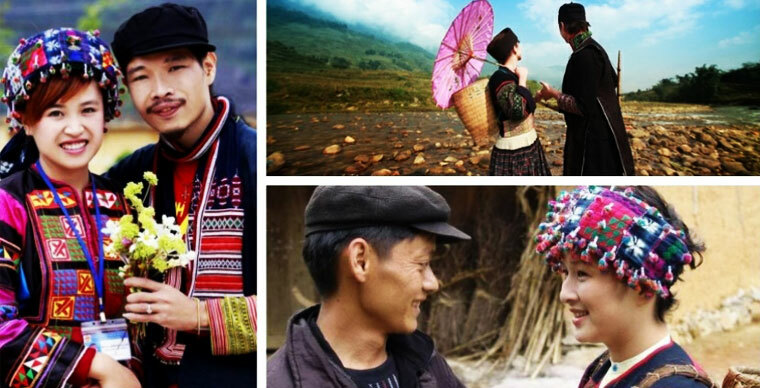 If Khau Vai love market in Ha Giang were home to incomplete love stories, many fashionable and wealthy young people have successfully found their true love here since 1991. 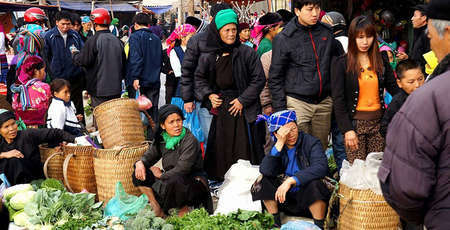 Most people in the market are villagers of ethnic group such as Tay, nung, Giay from Nam Ban, Niem Son, Tat Nga, Lung Pu, Son Vi, Thuong Phung communes and Bao Lac districts. Meo Vac district hold Khau Vai love market festival taking place in 3 days (from 25th to 27th March on lunar calendar), including various cultural activities such as incense offering ceremony at Ong and Ba temples, exhibition of art entitled "Khau Vai - the rendezvous of couples"; art show recreating the love story of Ba and Ut, horse racing, etc. 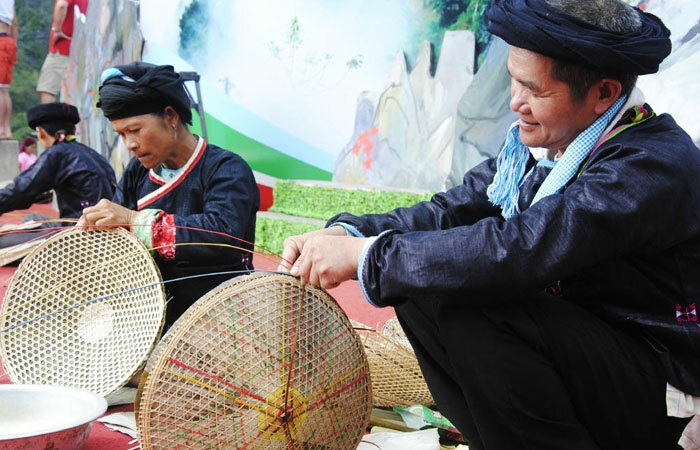 Tourists at Khau Vai Ha Giang love market also experience horseback riding "Back to the road of love"; immerse in the singing of love and dance to the sound of pan-pipes and participate in folk games; watch local people weave linen, making the Mong’s pan-pipes, etc. 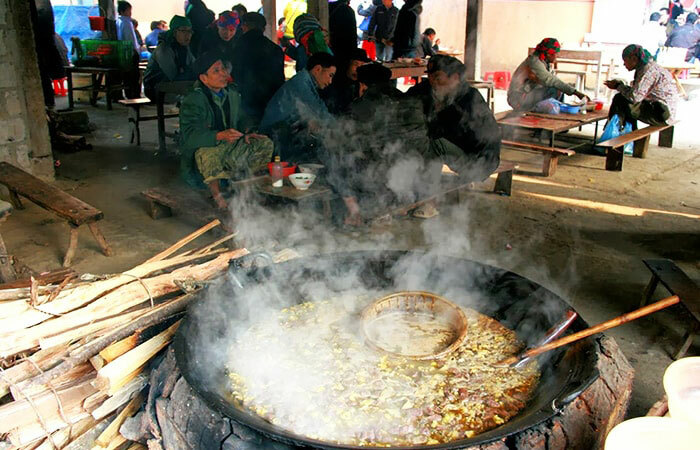 Moreover, traditional cuisine in Meo Vac night market will win your heart with men men cake, thang co soup, beef jerky, smoked pork, Chinese sausage, corn wine and other cultural activities. 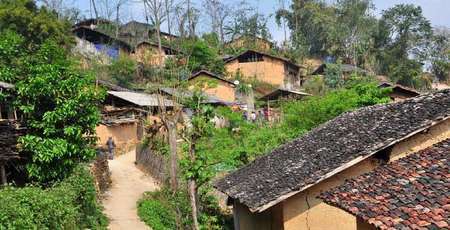 Despite some changes through time, Khau Vai love market still retain its unique character. In the bustling atmosphere of joy, we still meet those eyes looking for someone, hear the sound of flute blowing in the wind and see the moments of warmth and happiness of couples reuniting after days apart.